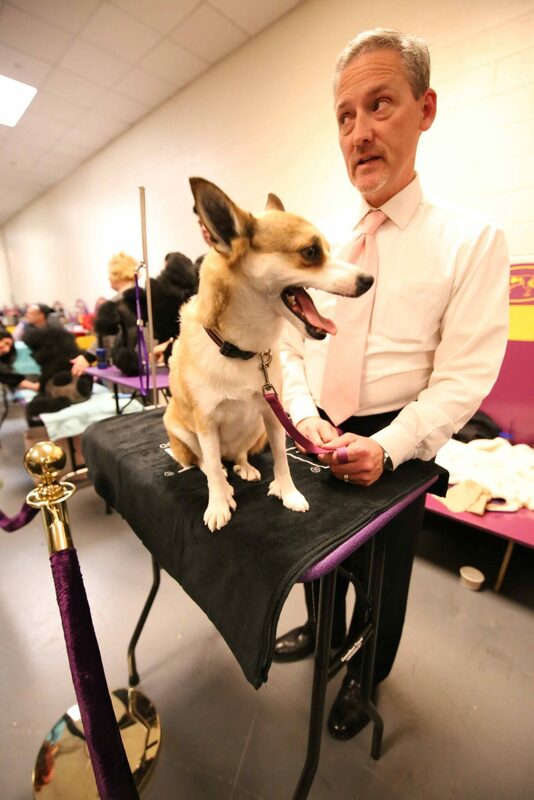 The Westminster Kennel Club dog show, essentially the Super Bowl of canine conformation shows in America, will soon crown their 143rd Best in Show winner. 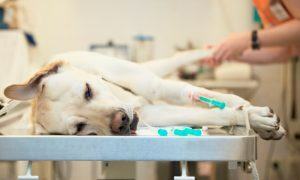 But, before a perfectly coifed canine is crowned, a LOT goes into prepping for the big event. 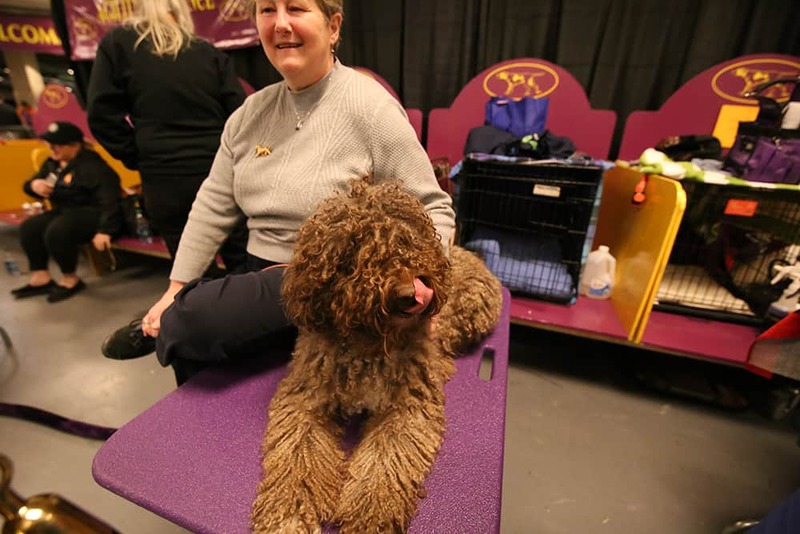 The 143rd Annual Westminster Kennel Club Dog Show, being held on February 11 and 12, 2019, will showcase a total of 2,800 dogs among 203 breeds and varieties, including two new-to-Westminster breeds, the Grand Basset Griffon Vendéen and the Nederlandse Kooikerhondje. 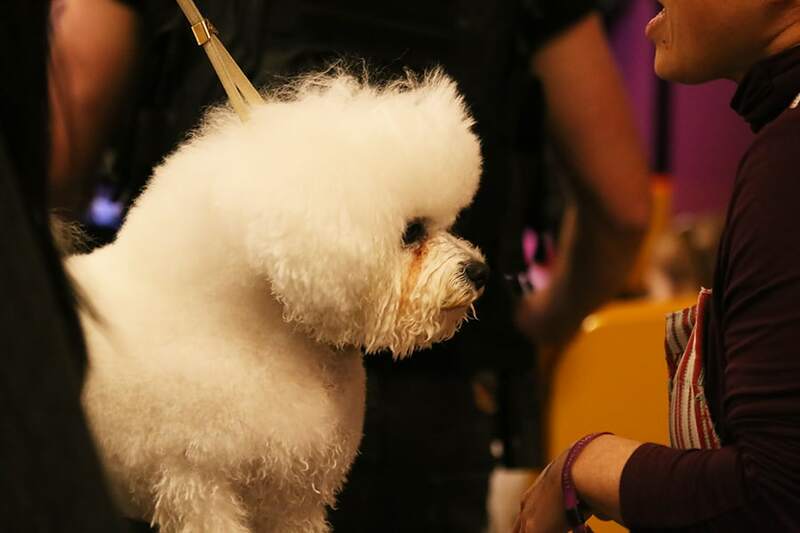 Now, unlike most dog shows, no backstage passes are required at Westminster, offering the public a rare opportunity to meet & mingle with the 203 different breeds showing in the year’s most important event. In fact, not only are the general ticket-buying public granted backstage access, the dogs and their teams of owners, handlers, and groomers are actually required to be present when the hundreds of eager dog-lovers and spectators walk through the benching area on their way to their seats inside Madison Square Garden – although it quickly becomes clear which teams (and dogs) are enjoying the spotlight and which are trying to slink back and look invisible to the troves of people passing through. Last year, we met Eva, 2018’s Best in Breed, 2-year old the Norwegian Lundehund. “Lundies” are fairly new to Westminster, having their debut in 2012. 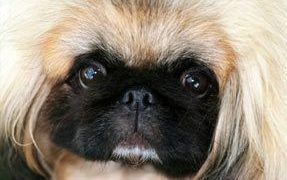 This unique breed was nearly extinct when in 1963, only 6 Lundies existed in the world. 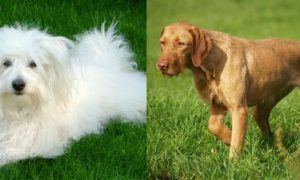 Today, through purposeful breeding the little dogs – originally bred to hunt Puffins, with some incredible physical features not present in other breeds, like a minimum of 6 toes on each foot, an ability to turn their head upward until it touches their spine, and ears that can be “pinched” closed facing either forward or backward at will – number in the thousands. 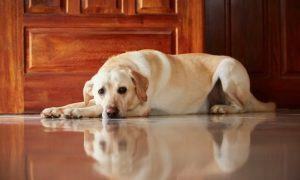 Best of all, they make fabulous family pets that love to play and snuggle. Still, the dogs entering the ring at Westminster are well-loved, adored family pets. They sleep in bed with their owners, they share their homes with kids, they probably chewed up their humans’ shoes when they were pups. And, yes, their paws DO smell like corn chips, just like your dog’s paws – we’ve checked. 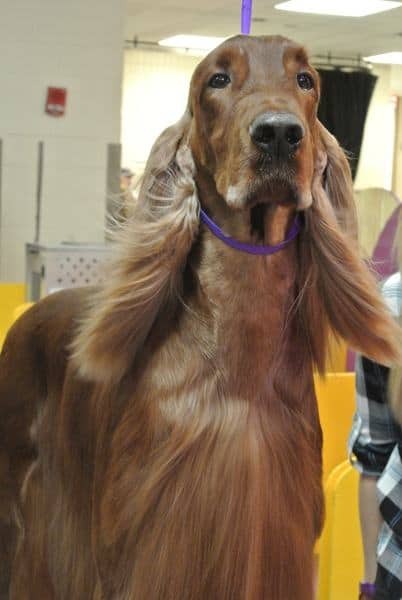 Adrian, an Irish Setter keeps his red locks luxurious with the help of Pantene shampoo and conditioner. IMAGE: The Dogington Post. You’ll see hairspray, volumizer, mousse, brushes, rollers, clips, combs, clippers, sponges, spray bottles, blow dryers, and (yes) flat irons, along with some unusual accoutrements like corn starch and rubber gloves – all serving a specific purpose: to look as perfect as possible for the judge. 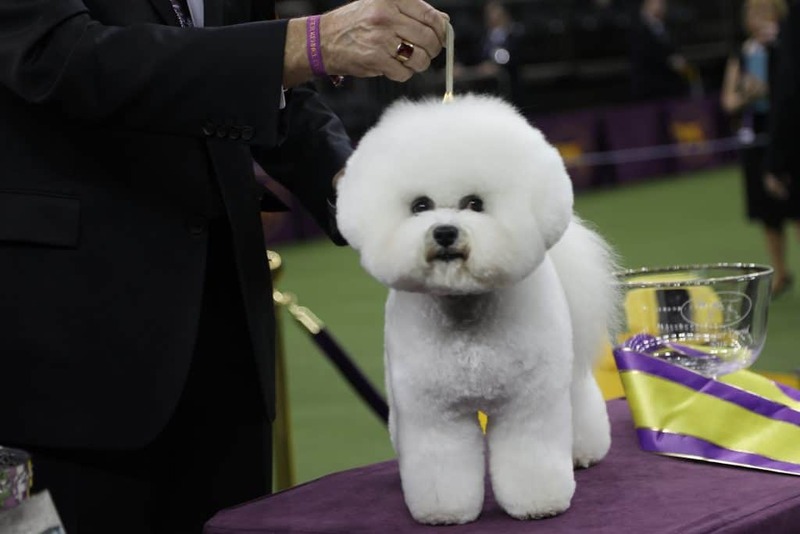 Even last year’s Best in Show winner, Flynn, had his nose dusted with a shimmery powder his handler called “Fairy Frost” to dry the drool from that perfectly coifed, splendidly fluffy face. 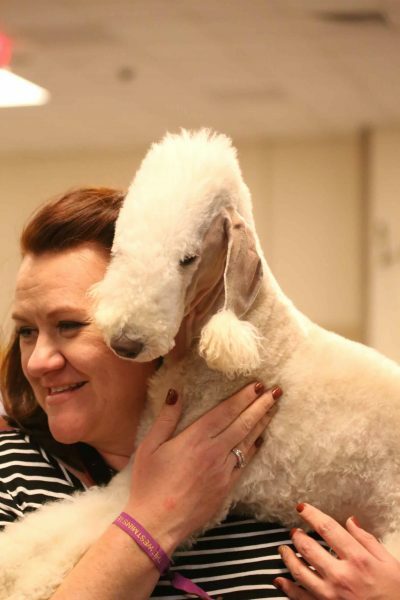 Monte Carlo, a 4-year old Bedlington Terrier has one of the most unique grooms for the ring, with his face, ears, and chest shaved to the skin, while the hair on his head is brushed and fluffed, giving him a striking appearance when compared to other, more common haircuts. But, this unusual groom was originally created to serve a purpose! Speaking of the competition – this is where many don’t realize what this show is really about. A lot of people ask, “How could you compare a Rottweiler to a Chihuahua and pick the best one?” Well, you don’t. In conformation shows, the dogs are judged solely against their breed standard, not against other dogs. 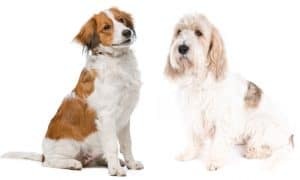 So, for example, in the Golden retriever breed category – of which 57 dogs entered this year – the Best in Breed winner was the dog that most conformed (get it?) to their breed standard. 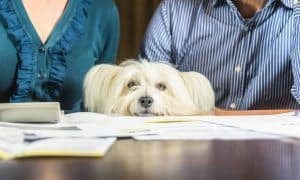 Breed judging takes place separately from Madison Square Garden where the Best in Group and Best in Show competitions are held, mostly because there are just far too many dogs, representing far too many breeds to pack them all into the Garden. You can see in the video above, the Best in Show judge, Betty-Anne Stenmark, takes time to carefully inspect each dog. Naturally, she’s admiring the magnificence of each dog, but she’s also looking for very specific characteristics – skeletal structure, coat and skin condition and texture, teeth, ear placement, the way the dog holds their tail. And when the dogs make their way around the ring, she’s watching their posture, gait, energy level, and even personality that shines through. 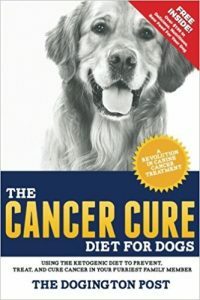 Besides being healthy, this trick is also part of the reason why dogs in the show ring are usually rewarded with cooked chicken, steak, cheese, or hot dogs instead of regular dog treats or biscuits. 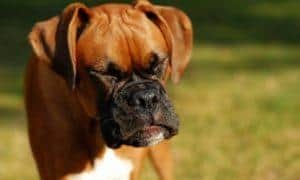 A lot of dog handlers joke about mistakenly putting a dog treat or liver in their mouths by force of habit in the ring. 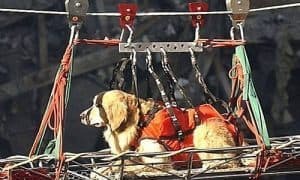 At its first show in 1877, Westminster donated all the proceeds from an entire day to the ASPCA to establish a home for stray and disabled dogs. That donation has continued for each of the 143-years since. Over the years, the organization has helped to raise millions of dollars through various programs in support of homeless dogs and shelters, while holding strongly to the belief that teaching responsible dog ownership is paramount to solving our nation’s pet overpopulation problem.